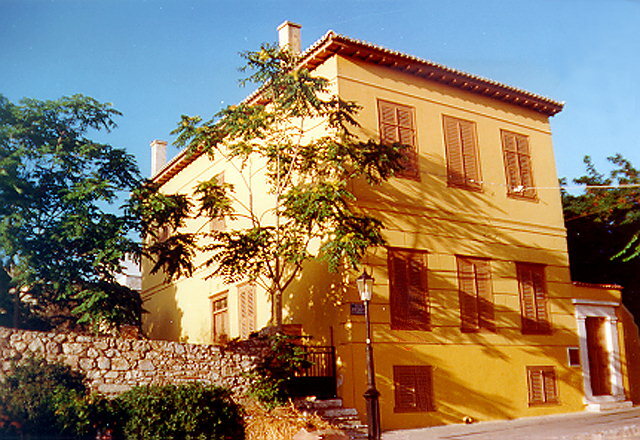 The main building of the Lassanis Mansion contains, apart from the exhibition space, the reception area, the Director's office, the secretariat and the library of the Museum (also donated by Fivos Anoyanakis). The out-building is converted into an annex that now houses the Research Centre and the archives, storerooms, a hall of lectures, educational programms and seminars, and the Museum shop. In the garden of the Museum are given recitals of Greek traditional music.